Are your friends moving to a new house? Is your uncle starting a restaurant? 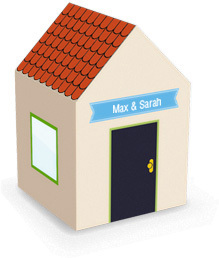 Want to welcome the new owners of your house? Floorplanner Plus might just be the perfect gift for your friends to enjoy their (new) space in the best possible way. It lets them visualise their interior ideas in an easy, stunning and convincing fashion. For only € 9,95 they can! With the Floorplanner Gift account you give someone all Plus benefits for one year, including high quality visuals in 2D and 3D and enough project space to keep them busy for a while. And of course, they can draw & share their plans as easy as Floorplanner has always been for that.